Heat oven to 400°F. Lightly spray cookie sheet with cooking spray. 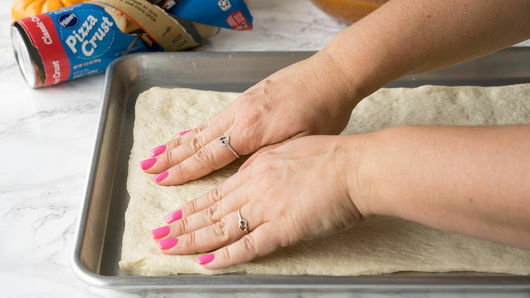 Unroll 1 can (13.8 oz) Pillsbury™ refrigerated classic pizza crust onto cookie sheet; press to 14x9-inch rectangle. Bake 8 minutes. In medium bowl, mix 1 can (15 oz) pumpkin pie mix (not plain pumpkin) and 1 egg yolk with whisk. Measure 1/2 cup powdered sugar; reserve 1 tablespoon of the powdered sugar, then stir remaining powdered sugar into pumpkin mixture. Spread mixture in thick layer all over pizza crust. 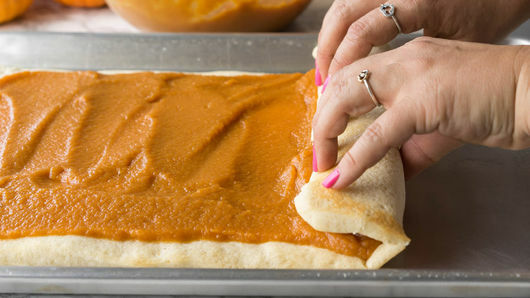 Carefully roll up crust, starting with shorter edge. Try not to squeeze, or the pumpkin will ooze out. 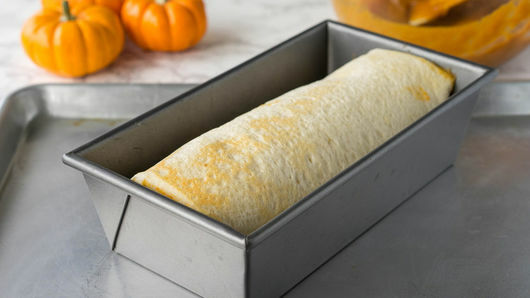 Lightly spray 9x5-inch loaf pan with cooking spray. Place roll seam side down in pan. Bake 8 to 10 minutes or until golden. Remove from pan; cool completely. 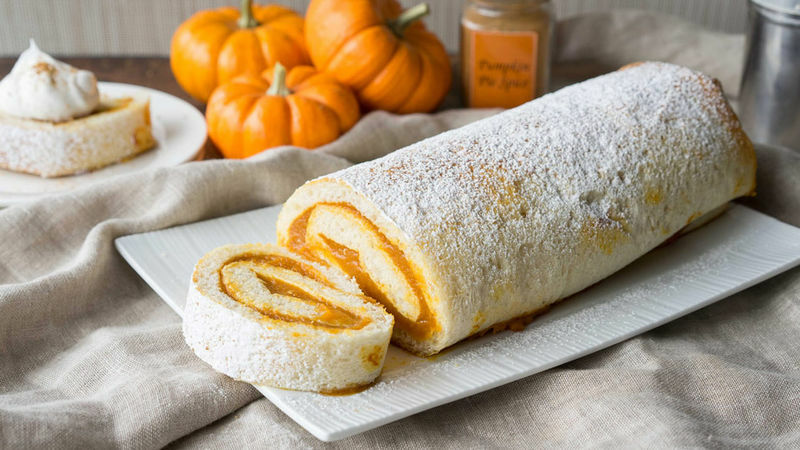 Sprinkle top of roll with reserved powdered sugar; cut into 1-inch slices. Top 1 cup frozen whipped topping, thawed. Enjoy! This roll-up is great served at room temperature or chilled. Drizzle melted white chocolate over top of finished roll-up for a sweet twist!